This recipe is for one half of a mini watermelon. If you would like to do the whole mini watermelon, double the amount of ingredients. Cut the watermelon lengthwise. Using a spoon, scoop out the meat of the watermelon all the way to the white flesh without breaking the rind. 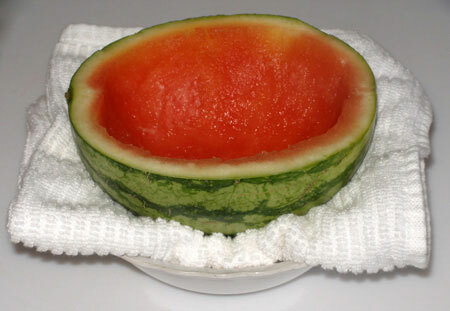 Place the watermelon on a bowl with a towel underneath to keep it upright and stable. Note: You don't have to scoop all the way to the white flesh. You may leave some watermelon meat. Boil one cup of water. 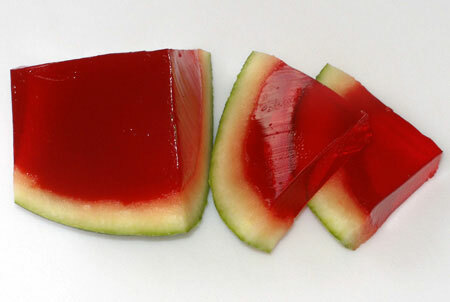 Place the Jell-O and the unflavored gelatin in a bowl and add the boiling water. Stir well until the gelatin dissolves completely. Add the cup of vodka and stir. 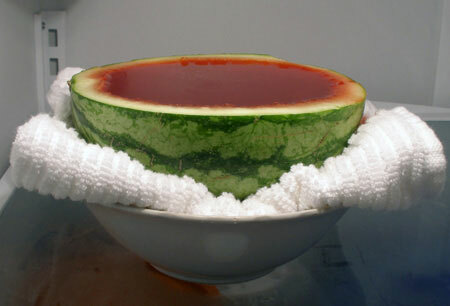 Fill the watermelon all the way to the top with the gelatin and place it in the refrigerator overnight or until firm. 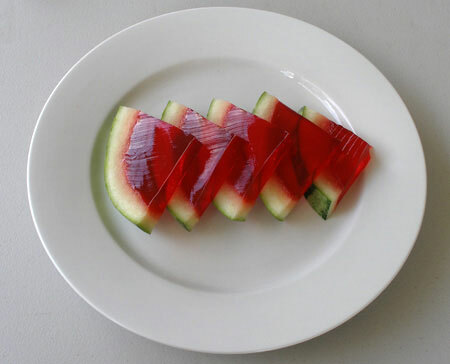 Once the gelatin is firm, cut the ends of the watermelon with a warm sharp knife. Then, slice the watermelon in half from one end to the other. Note: Run the knife under hot water and dry it. A warm knife makes it easier to slice the gelatin. 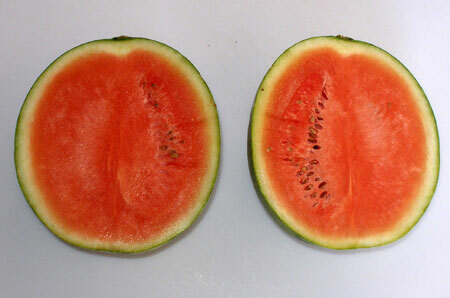 Using a warm sharp knife, slice the two watermelon pieces into wedges. 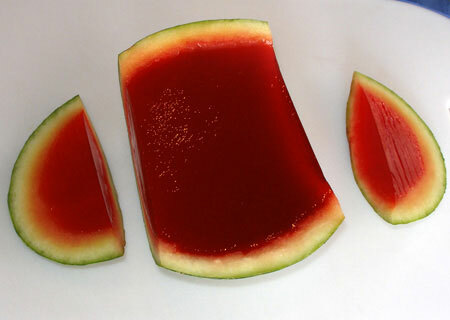 Place the watermelon jello wedges on a plate and serve. Note: The gelatin used in this recipe was the strawberry flavored Jell-O because I have not been able to find the watermelon flavored Jell-O.